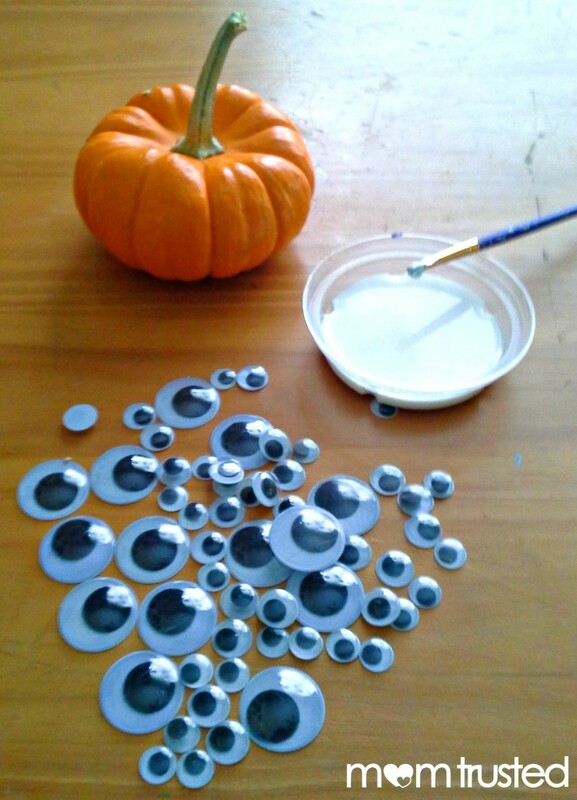 Step 1: Squeeze small amount of glue into a shallow dish. 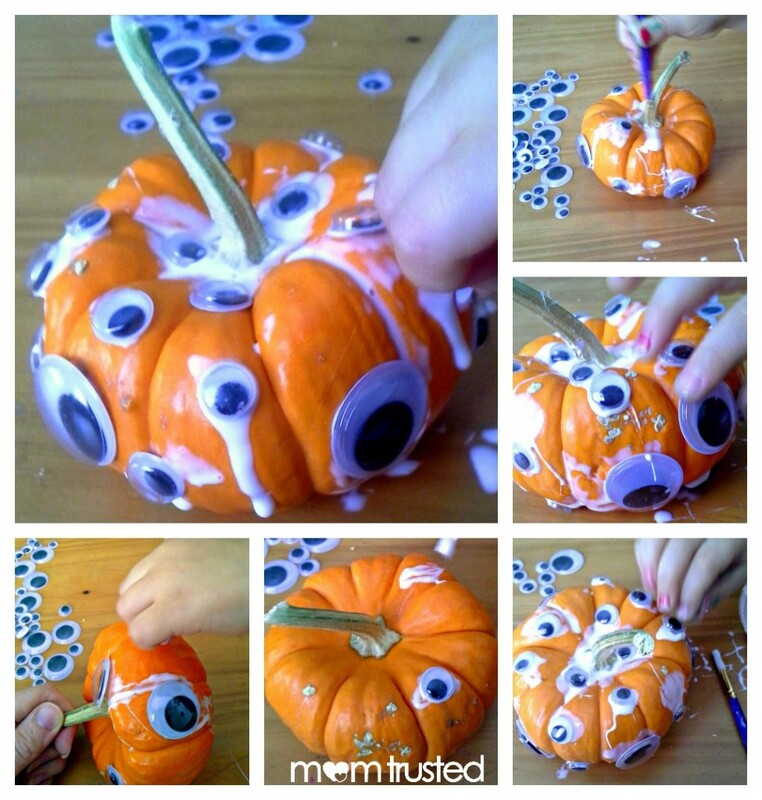 Give your child a paintbrush to spread glue onto the pumpkin. 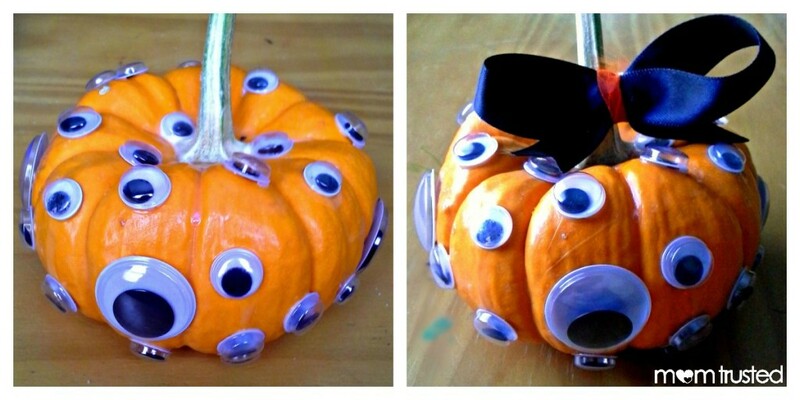 Then have your child place the googly-eyes onto the glue. 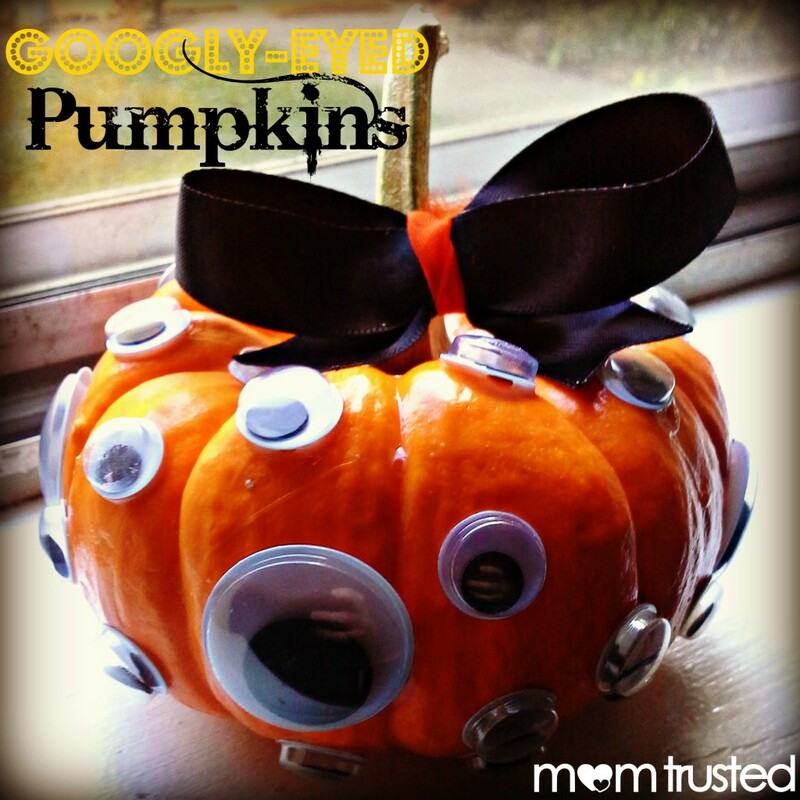 Allow glue to dry thoroughly so eyes stay in place.